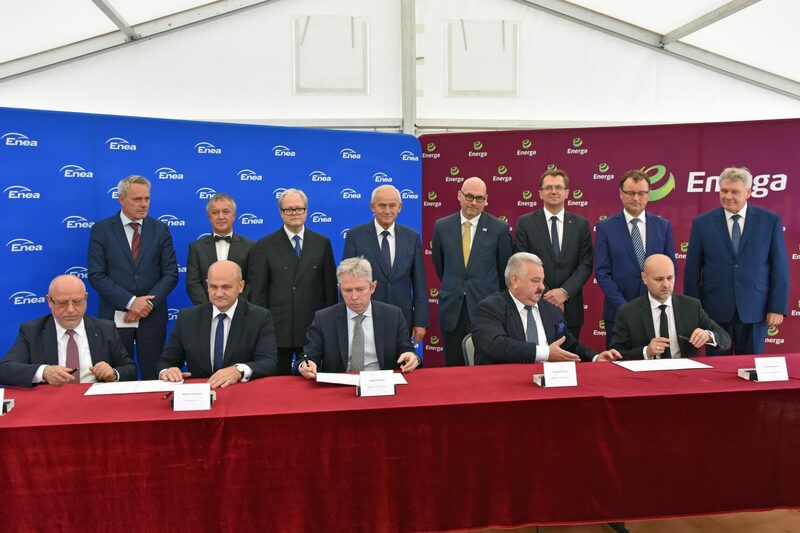 On Thursday, July 12th GE signed a contract with two Polish Energy manufacturers Energa and Enea to build the 1000MWe ultra-supercritical coal power plant Ostrołęka C.
On behalf of GE Poland, the contract was signed by Sławomir Żygowski – President of GE Power in Poland. During the signature ceremony, EDC was represented by Marian Lubieniecki, Chairman of the Board General Electric Company Polska, Managing Director. Through entire preparation period, EDC was and is continuously supporting all efforts towards that project development. Beside others, the GTC Outage Team provides service tools and outage planning for GE Power activities worldwide, including new investments in Poland. Signing of the contract is another proof that the cooperation of GE Power with Poland has recently strengthened. The previous one was signing the Memorandum of Understanding between GE and the Republic of Poland at the beginning of 2017 by Polish Prime Minister and John Rice in GTC, EDC. Since than the talks about the possibilities of GE Power in the industry are constantly discussed. An example of that was the Media Roundtable that was held lately at GTC. During that meeting Marian Lubieniecki, Michał Małecki – GE Power Executive Manager at EDC and Sławomir Żygowskidiscussed with representatives of the government and press, various ways to Polish energy mix at 2030, GE presence and its local capabilities to execute Ostrołęka contract.